Tropic Water is now a 3M Authorized Dealer! Tropic Water has become an Authorized Water Dealer for 3M Purification, a global manufacturer of water filtration systems. Brandon Arnds, the company’s owner, is very excited about the authorized dealership and enhancement to the existing business, operating since 2009. The company’s knowledgeable staff of water specialists and service technicians will be responsible for the sale and service of 3M Purification’s portfolio of water conditioners, reverse osmosis and drinking water systems on Maui and Oahu. Tropic Water provides water quality testing to residents and businesses on both Oahu and Maui. The water analysis identifies basic water quality properties, and a recommendation is given to address specific water quality concerns. 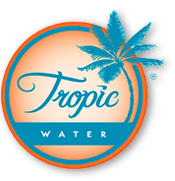 Consumers can also contact the water specialists at Tropic Water with questions about local water quality and the effects it may have on water-using appliances, plumbing and fixtures, as well as foods and beverages. The 3M authorized water dealer is located at 1150 N. Nimitz #3 in Honolulu and 717 Luakini St in Lahaina and can be reached by calling 808-521-0007. To learn more about 3M water filtration products, visit www.3MWater.com or call toll free: 877-344-1396. Like and follow us at: www.facebook.com/3MWaterDealer.